New book explores every aspect of Bond's onscreen adventures. Sean Connery, left, as James Bond in a scene from the 1963 film, "From Russia With Love." The secrets of 007 are now for everyone’s eyes only. At 600+ pages, "The James Bond Archives" (Taschen) is as epic in scope as the 50-year, 23-film (or 25, depending on how you count) history of the cinematic adventures of Ian Fleming’s globe-hopping, martini-swilling, world-saving British secret agent with a license to kill. With total access to EON Productions’ prodigious archives, editor Paul Duncan immersed himself in the behind-the-scenes world of Bond. What was your level of Bond fandom when you decided to tackle this project? Well, I was a person who had basically lived with Bond all my life. 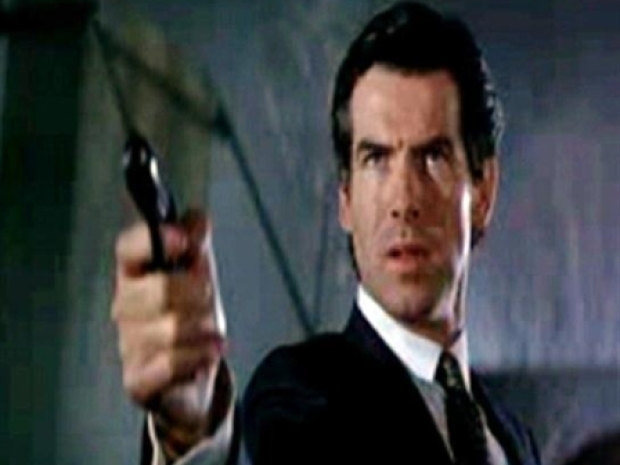 By default, if you're British, then you're a Bond fan – there's no either/or! You're either a fan or you're not British, basically. Bond was somebody who’s part of the culture here, and everybody wanted to be Bond or would like to meet Bond. I wasn't a fanatic fan, but he was somebody I always admired and always went to see the films since I was a kid. How easy or how difficult was it to get EON to “declassify” all of their 007 files and archives? When I joined Taschen over ten years ago. I had my job interview with the publisher Benedikt Taschen, and one of the things we discussed was doing a book on James Bond. And about three years ago, we were talking and Benedikt said, ‘Isn't it about time we did that big James Bond book?’ A couple of months later, I get a phone call from Eon saying, ‘Can we meet to discuss the book.’ And I thought,’ Oh, great, Benedikt has been in contact with producers, Barbara [Broccoli] and Michael [Wilson], and it's all sorted out. So I met Jenny MacMurray of EON at the Taschen office in London, and said, ‘Oh, when did Benedikt meet with Barbara and Michael?’ And she said, ‘What are you talking about?’ Basically, we'd come up with the same idea at the same time, and so there was no problem whatsoever. Was there a Holy Grail that you were looking for or stumbled upon while you were going through this massive amount of material? A look at AskMen.com's top five greatest James Bond flicks: "Casino Royale", "GoldenEye", "Dr. No", "From Russia With Love", & "Goldfinger". Very early on with ‘Dr. No,’ one of the things I wanted to find out was actually how did the project come about? And what's great is that right at the end of the book, I was in contact with Steven and Hilary Saltzman, the children of [producer] Harry Saltzman, and they had the very first agreement between Cubby [Broccoli] and Harry [Saltzman] about the two of them working together on the film. I couldn't believe it. From their very first meeting, this actually is the documentation of their agreement between each other. It was from there that the series started, so that was a complete surprise right at the end of the book. In the course of all your research, did you get to hold in your hands any of the iconic touchstones? Even though we don't include the props in the book, there were many props around and I was like a kid in a candy store. And yes, I held Oddjob’s hat, and Jaws’ teeth and the knife shoes from ‘From Russia with Love,’ all those things.I have to say, it was a tough slog in terms of the time I had to put in, in order to get the book done, but with a joy all the way because it was just so much fun. Bond Girl trivia: There's always a little bit of a mythic aspect to the scene with Shirley Eaton in the golden body paint in ‘Goldfinger’? Is there a good story behind it? Along with the six gentlemen who have portrayed Bond, who are some of the other people who should get a good share of credit for what the Bond movies became? For the look and feel of the movies, you have to go back to Ken Adam, who was the production designer right from ‘Dr. No.’ He did a whole series. He didn't do all of them, but he did many of them. He did ‘Goldfinger’, ‘Thunderball,’ right up to ‘Spy Who Loved Me’ and ‘Moonraker,’ which was his last one. He really epitomized the 60s style, the new age architecture and design. He was incredibly innovative with materials and the look and the feel, and I think a lot of people associate Bond with that look and feel. Also, you've got to remember that the cinema Bond is different to the fictional Bond in the novels because right from the beginning Terence Young, the first director, and Sean Connery, on ‘Dr. No,’ got on so well together that their sense of humor really clicked. And they were very humorous on set and used to ad‑lib, and some of these ad‑libs they used to film while they were filming in Jamaica. When they got to look at their dailies they noticed that the humor really worked. So when they would then run back to Pinewood Studios to do the interiors, they ended up rewriting elements of the script in order to match that humor that they found encapsulated in Jamaica. And I think that they really helped define Bond's character on screen in a literary way, if you like, whereas I think that Ken Adam really defined the visual essence of Bond. After two and a half years of research, in your now-expert opinion, what's the key to the enduring appeal after 50 years on screen? 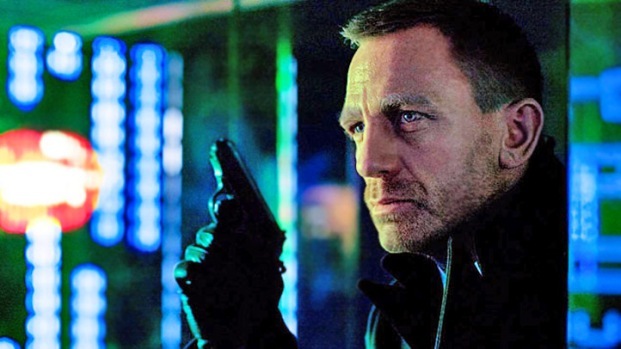 James Bond’s job is to go out and kill people, but it means that he, himself, could be killed over the course of that job – so it means that he can die at any day. And so you have to think of the psychology of that sort of character: It means that he has to make the most of every moment of his life. He has to enjoy every drink, every kiss, every moment of excitement has to be lived to the full. And I think that that's one of the things with the character that's remained consistent over the past 50 years, and it's something that I think people consciously or unconsciously really relate to, the fact that they would like to be somebody who lives life to the full.